Thank you very much for visiting our page in memory of our heart angel, Hudson. Did you know 1 in every 100 babies are born with a CHD? 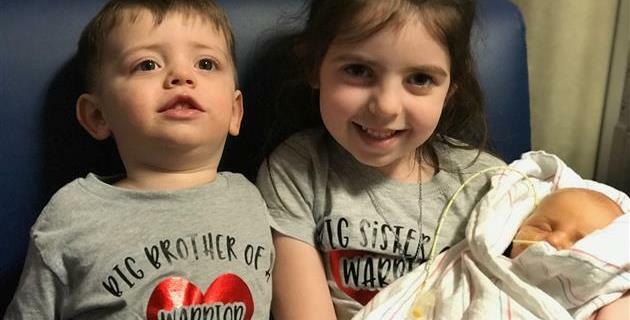 Of those 100, 1 in 4 will have a critical CHD (such as DORV, which was Hudson's diagnosis) that will require heart surgery or other interventions within the first few weeks of life. Hudson was and still is the bravest little boy I ever had the pleasure of meeting and I was so lucky to be his mama. We walk for Hudson and for all other angels that fought so courageously.